EU law on human and veterinary medicinal products (EC 2001, 2004a,b), industrial chemicals (EC 2006), plant protection products (PPPs) (EC 2009) and biocidal products (EU 2012) as well as aspects of the Water Framework Directive (WFD) (EC 2000), Marine Strategy Framework Directive (MSFD) (EC 2008) and Environmental Liability Directive (EC 2004c) aim to prevent and limit negative impacts of chemicals on human health and the environment. These laws are supplemented by global and regional conventions to which the EU, Member States and other European countries are party, such as the Helsinki Convention on the Baltic Sea (1992), OSPAR Convention on the NE Atlantic (1992), Stockholm Convention on persistent organic pollutants (2001) and Minamata Convention on mercury (Hg) (2013). Notwithstanding these laws and their implementation, environmental contaminants continue to impose very high costs on human and wildlife health; the annual burden and disease costs of exposure to endocrine disrupting chemicals in the EU, for example, has been estimated at €157 billion (1.23% of EU GDP; Trasande et al 2015). Better knowledge on real-world bioaccumulation of contaminants can significantly reduce these costs by addressing three needs: (1) Enhancing evaluation of the effectiveness of regulation, targeting any necessary adjustments to regulation and/or implementation and thereby mitigating negative impacts. While efforts are being made to develop pan-European human biomonitoring, there is at present inadequate equivalent monitoring of wildlife to enable such effectiveness evaluation (van den Brink et al 2016). (2) Enhancing reliable risk assessment of chemicals. There is at present a paucity of data on real-world bioaccumulation to properly inform risk assessment once chemicals are on the market. While more than 100,000 chemical products are in common use, there is exhaustive knowledge of less than 2% of these (Garmendia et al 2015). Hundreds of high production volume chemicals on the market cannot be properly risk assessed due to insufficient data quality of registered dossiers (Springer et al 2015). (3) Providing early warning of emerging contaminant problems. Certain animal groups, sensitive to contaminants can, like the proverbial canary in the coal mine, be used as sentinels of emerging contaminant problems; the early detection of a single problem can pre-empt costs that could run to billions of Euros. ERBFacility aims to meet these three needs by using raptors as sentinels of environmental contamination. It will thus help answer three questions: (1) are European and relevant global and regional chemicals laws and conventions effective in reducing environmental exposure to contaminants; (2) what are the environmental risks of specific chemicals; (3) are there emerging contaminant problems needing remedial action? The value of birds as sentinels of environmental contamination has been broadly recognised (Grasman et al 1998, Newton et al 1993, Rattner 2009, van Wyk et al 2001). Raptors (birds of prey) are especially suitable for monitoring (very) persistent (very) bioaccumulative and toxic (PBT/vPvB) chemicals in Europe because they are widespread, typically long-lived apex predators which integrate contaminant exposure over time and over large spatial areas, encompass a range of specialist and generalist food chains, are particularly sensitive to environmental contaminants and among the first organisms to exhibit readily observable responses (Sergio et al 2005, 2006, Movalli et al 2008). Indeed, the European Parliament has stressed ‘the need to monitor bioaccumulation of [PBT/vPvB] pollutants through the use of…top predators in terrestrial, freshwater, and marine environments’ (EP 2007). Examples of contaminant problems revealed by raptors include heavy metal-induced immune system impairment (e.g. Blanco et al 2004, Lutz et al 1999), polychlorinated-biphenyl (PCB) induced impacts on reproduction (e.g. Safe 1984, Fernie et al 2001, Rattner et al 2014, Rattner 2009), toxicity associated with lead (Pb) shot in game (e.g. Pain et al 2010) and toxicity associated with non-steroidal anti-inflammatory drugs (NSAIDs; e.g. Green et al 2004). The Analysis Arena; A recent overview of contaminant monitoring with raptors in Europe (Gomez-Ramirez et al 2014) found substantial activity (Figure 1) that could underpin the development of pan-European monitoring of environmental contaminants, but there is an absence of necessary networking and coordination among ecotoxicologists and analytical laboratories, decision-makers and regulatory agencies. The Collections Arena; while many natural history museums (NHMs), environmental specimen banks (ESBs) and other collections across Europe hold many thousands of relevant raptor samples offering potential to determine contaminant trends over time and space (in particular given recent advances in analytical techniques), realizing this potential requires networking and coordination among NHM/ESB curators and ecotoxicologists. The Field Arena; a recent overview of ecological research on and monitoring of raptor populations (Vrezec et al 2012) found considerable activity across Europe (e.g. addressing 90% of the 56 breeding species), but this is not yet being harnessed for sampling of raptor tissues and harmonised gathering of relevant field data in support of contaminant research – this requires networking and coordination among field ornithologists (professionals, amateurs) involved in field monitoring of raptors (population studies, nest recording, ringing), ecotoxicologists and NHM/ESB curators. ERBFacility aims to design and build key elements of a distributed ‘facility’ that enables pan-European raptor biomonitoring to enhance evaluation of effectiveness of chemicals regulations and conventions, enhance risk assessment of specific chemicals and provide early warning of emerging contaminant problems. The key elements of this facility relate to the analytical, collections and field arenas introduced above and include, respectively: (a) a network of analytical laboratories able to perform the necessary ecotoxicological analyses; (b) a network of collections storing and cataloguing the necessary raptor samples; (c) a network of NGOs and field ornithologists gathering additional samples and contextual field data. The three research coordination and three capacity building objectives below relate respectively to these three networks and are interdependent. Together, these objectives will enable a new generation of research on environmental biomonitoring using raptors as key sentinel species. 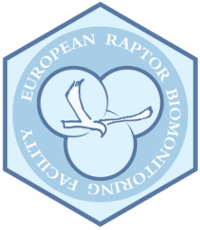 Objective R1: To assess current capacities for pan-European raptor biomonitoring and develop a framework for a European Raptor Biomonitoring Scheme (ERBioMS). The assessment will focus on current capabilities to detect temporal and spatial trends in contaminant exposure (and, where feasible, effects), focussing on 4-6 selected contaminants, and on identifying key areas of weakness (in the absence of coordination). Building on the insights delivered by this assessment, and on very recent research (Espin et al 2016), ERBFacility will develop an ERBioMS framework capable of delivering pan-European surveillance and monitoring of key pollutants under EU chemicals law and relevant global and regional conventions. The framework will identify, in relation to each regulation/convention, candidate raptor species and sample matrices. Development of read-across methods between species is likely to be necessary because the ranges of individual raptor species may not be pan-European and so monitoring would require measurements in complementary species. Objective R2: To develop a framework for a distributed European Raptor Specimen Bank (ERSpeB) for contaminant monitoring. Existing raptor specimen collections in NHMs and ESBs have only in a very few cases been made with contaminant monitoring in mind; those collections which are designed to meet contaminant monitoring needs are national in scale (e.g. UK Predatory Bird Monitoring Scheme [Walker et al. 2008]). There is therefore a need to develop an ERSpeB framework to link and expand existing collections and, where appropriate, propose new regional collections, to meet ERBioMS needs. Objective R3: To develop a framework, standards and protocols for a European Raptor Sampling Programme (ERSamP). The ERSamP framework will provide for collection of the right raptor samples from the right locations at the right times. Standards and protocols will ensure harmonised sampling methods (not least, to minimise impacts on raptors) and harmonised recording of relevant field data (to support interpretation of contaminant exposure data in terms of effects on raptors at individual and population levels). Objective C1: To build capacity in the ‘analysis arena’ through networking and collaboration among ecotoxicologists, collaborating laboratories and regulators, including through: (a) collaborative work on objective R1 (assessment, ERBioMS framework); (b) piloting joint assessment and reporting between collaborating labs to deliver proof of concept; (c) developing guidance to integrate reports with regulatory assessments of relevant regulatory bodies (e.g. ECHA, EFSA, national competent authorities). Objective C2: To build capacity in the ‘collections arena’ through networking and collaboration among ecotoxicologists and raptor collections (NHMs, ESBs, etc), including through: (a) constructing a meta-database of existing raptor specimens and of any existing related contaminant data, and stimulating digitisation of collections, to enhance access and use for contaminant monitoring; (b) stimulating expansion of raptor collections. Construction of the database will involve developing standards for digital description and online publication of raptor samples and related data, and developing systems and protocols for web-based exchange, analysis and visualization (mapping) of these data. Objective C3: To build capacity in the ‘field arena’ through networking and collaboration among field ornithologists, raptor collections and ecotoxicologists, including by: (a) stimulating and harmonising collection of raptor samples and of key contextual data on raptor reproduction, survival and other field data relevant to interpretation of data on contaminant exposure, in support of ERBioMS; (b) testing the framework, standards and protocols in the field through networks of professionals and volunteers, to deliver proof of concept. The research coordination and capacity building objectives are inter-linked. There are also inter-linkages among the research coordination objectives (e.g. the ERSpeB and ERSamP developed under R2 and R3 respectively should meet the needs of the ERBioMS developed under R1, while the ERBioMS must take into account the realities of ERSpeB and ERSamP) and among the capacity-building objectives (e.g. development of capacities of analytical labs under C1 will need to take account of raptor collections capacities under C2 and raptor sampling capacities under C3). Bignert, A. and Helander, B. 2015. Monitoring of contaminants and their effects on the common Guillemot and the White-tailed sea eagle. J Ornithol 156(1):173-185. Blanco, G. et al. 2004. Contamination with nonessential metals from a solid-waste incinerator correlates with nutritional and immunological stress in prefledgling black kites (Milvus migrans). Environ Res 94(1), 94-101. Brühl, Carsten A. et al. 2013. Terrestrial pesticide exposure of amphibians: An underestimated cause of global decline? Scientific Reports 3. Delahey, R. and Spray, C, (eds.) 2014. Proceedings of the Oxford Lead Symposium. Lead ammunition: Understanding and minimizing the risks to human and environmental health. Edward Grey Institute, The University of Oxford, UK. EC 2000. Directive 2000/60/EC of the European Parliament and of the Council of 23 October 2000 establishing a framework for Community action in the field of water policy. EC 2001. Directive 2001/83/EC of the European Parliament and of the Council of 6 November 2001 on the Community code relating to medicinal products for human use. EC 2004a. Directive 2004/28/EC of the European Parliament and of the Council of 31 March 2004 amending Directive 2001/82/EC on the Community code relating to veterinary medicinal products. EC 2004b. Regulation (EC) no 726/2004 of the European Parliament and of the Council of 31 March 2004 laying down Community procedures for the authorisation and supervision of medicinal products for human and veterinary use and establishing a European Medicines Agency. EC 2004c. Directive 2004/35/CE of the European Parliament and of the Council of 21 April 2004 on environmental liability with regard to the prevention and remedying of environmental damage. EC 2009a. Regulation (EC) No 1107/2009 of the European Parliament and of the Council of 21 October 2009 concerning the placing of plant protection products on the market. EC 2009B. Regulation (EC) No 1069/2009 of the European Parliament and of the Council of 21 October 2009 laying down health rules as regards animal by-products and derived products not intended for human consumption. EEA 2013. Late lessons from early warnings: science, precaution, innovation. EP 2007. EP Resolution of 22 May 2007 on Halting the Loss of Biodiversity by 2010. European Parliament, 2006/2233(INI). Espín S, et al. 2016. Tracking pan-continental trends in environmental contamination using sentinel raptors—what types of samples should we use? Ecotoxicol 25(4), 777-801. EU 2012. Regulation (EU) No 528/2012 of the European Parliament and of the Council of 22 May 2012 concerning the making available on the market and use of biocidal products. Fernie K. et al. 2001. Reproduction success of American kestrels exposed to dietary polychlorinated biphenyls. Environ Toxicol Chem 20(4), 776-781. Garmendia et al. 2015. Combining chemical and biological endpoints, a major challenge for twenty-first century's environmental specimen banks. Environ. Sci Pollut Res 22, 1631-1634. Gibbons, D. et al. 2015. A review of the direct and indirect effects of neonicotinoids and fipronil on vertebrate wildlife. Environmental Science and Pollution Research, 22(1), 103-118. Gomez-Ramirez P., et al. 2014. An overview of existing raptor contaminant monitoring activities in Europe. Environ Int 67, 12-21. Grasman, K. et al. 1998. Reproductive and physiological effects of environmental contaminants in fish-eating birds of the Great Lakes: a review of historical trends. Environ Monit Assess 53, 117-145. Helander, B. et al. 2008. Using raptors as environmental sentinels. Monitoring the white-tailed sea eagle Haliaeetus albicilla in Sweden. Ambio 37(6), 425-431. Kolossa-Gehring, Marike, et al. 2016. New human biomonitoring methods for chemicals of concern – the German approach to enhance relevance. Int J Hyg Environ Health. Kuster, A. et al. 2015. The international environmental specimen banks – let’s get visible. Environ Sci Pollut Res 22, 1559-1561. Markandya, A. et al. 2008. Counting the cost of vulture decline—An appraisal of the human health and other benefits of vultures in India, Ecol Econ 67(2), 194-204. Movalli, P. et al. 2008 Introduction to monitoring for and with raptors. Ambio 37(6), 395-396. Newton, I. et al. 1993. Long-term trends in organochlorine and mercury residues in some predatory birds in Britain. Environ Pollut 79, 143-151. Nuijten, R et al. 2016. Circumpolar contaminant concentrations in polar bears (Ursus maritimus) and potential population-level effects. Environ Res 151:50-57. Rattner, B. 2009. History of wildlife toxicology. Ecotoxicol 18(7), 773-783. Rattner, B et. al. 2014. Adverse outcome pathway and risks of anticoagulant rodenticides to predatory wildlife. Environ Sci Technol 48, 8433-8445. Safe, S. (1984) Polychlorinated-biphenyls (pcbs) and polybrominated biphenyls (pbbs) - biochemistry, toxicology, and mechanism of action. Crit Rev Toxicol 13(4), 319-395. Saurola, P. 2008. Monitoring birds of prey in Finland. A summary of methods, trends and statistical power. Ambio 37(6), 413-419. Sergio, F. et al. 2005. Top predators and biodiversity. Nature 436, 192. Sergio, F. et al. 2006. Ecologically justified charisma: preservation of top predators delivers biodiversity conservation. J App Ecol 43, 1049-1055. Springer, I. et al. 2015. REACH Compliance: Data Availability of REACH Registrations. Part I: Screening of chemicals >1000 tpa. UBA, Germany. Tarazona, J. 2015. Role of monitoring data with raptors in the EU environmental risk assessment of chemicals: Needs from regulatory scientific assessors. Presentation, EURAPMON Final Conference, Murcia, March 2015. Trasande, L. et al. 2015. Estimating burden and disease costs of exposure to endocrine-disrupting chemicals in Europe. J Clin Endocrinol Metab 100(4), 1245-1255. UNEP CMS 2014 Preventing poisoning of migratory birds. Resolution 11.15.
van den Brink, N. W. et al. 2016. Use of terrestrial field studies in the derivation of bioaccumulation potential of chemicals. Integr Environ Assess Manag 12,135-145.
van Wyk, E. et al. 2001. Persistent organochlorine pesticides detected in blood and tissue samples of vultures from different localities in South Africa. Comp Biochem Physiol 129A, 243-264. Vrezec, A. et. al. 2012. Overview of raptor monitoring activities in Europe. Acrocephalus 33 (154/155), 145-157. Walker, L. et al. 2008. The predatory bird monitoring scheme: identifying chemical risks to top predators in Britain. Ambio 37(6), 466-471.